Kate Humble in conversation with Francine Stock - The Turtle Mat Blog - For news, features and competitions! The Turtle Mat Blog – For news, features and competitions! Rebecca Wilson on the subject of Uncategorized. Posted on October 24th, 2014. 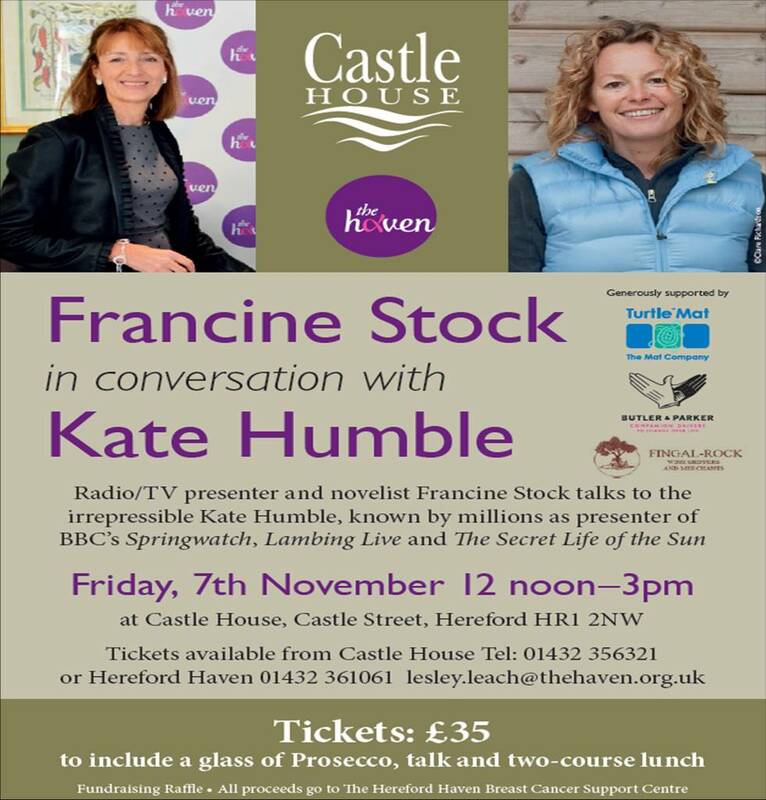 We’re very proud to be supporting the amazing work of The Haven (Hereford Haven Breast Cancer Support Centre) through their fantastic forthcoming Hereford event – Francine Stock in conversation with Kate Humble (Springwatch and Lambing Live). This special lunch event includes a two course meal and a glass of Prosecco as well as the talk between Kate and Francine – for full details see below. This entry was posted on Friday, October 24th, 2014 at 12:47 pm; on the subject of Uncategorized.